Fun fact: The entire Byrdie Australia team worships at the altar of Teresa Cutter. Not only are we collectively obsessed with The Healthy Chef's wellness-boosting interpretations of usually-bad-for-you desserts like lamingtons and apple pie, we frequently hit up her site for nourishing dinner ideas and easy snack options. With Easter a little more than a fortnight away, we're again looking to Cutter for ideas on how to replace sugar-laden sweet treats with something a little more nutritious. Turns out, the perfect solution was hiding in her latest EDM—a recipe so wholesome, you could eat it for breakfast. (Seriously.) The brownie recipe that follows is refined sugar-, gluten-, egg-, soy- and dairy-free (phew), and even includes a serve of vegetables via roasted sweet potato. It's delicious, yes, but it'll also make you feel virtuous knowing you've satisfied your sweet tooth without giving in to processed chocolate. Preheat your oven to 160°C fan-forced. Combine sweet potato, coconut oil, maple syrup, vanilla, cacao powder and dates into a food processor, and process to 2 to 3 minutes until smooth and creamy. Add almond meal and process again for another minute until combined. Spoon into a 30 x 20cm lined baking tray and smooth out the top, then bake for about 45 to 50 minutes. Add all frosting ingredients to a high-speed blender and blitz for 2 minutes, until smooth and creamy. Spread over the top of the brownie and enjoy. 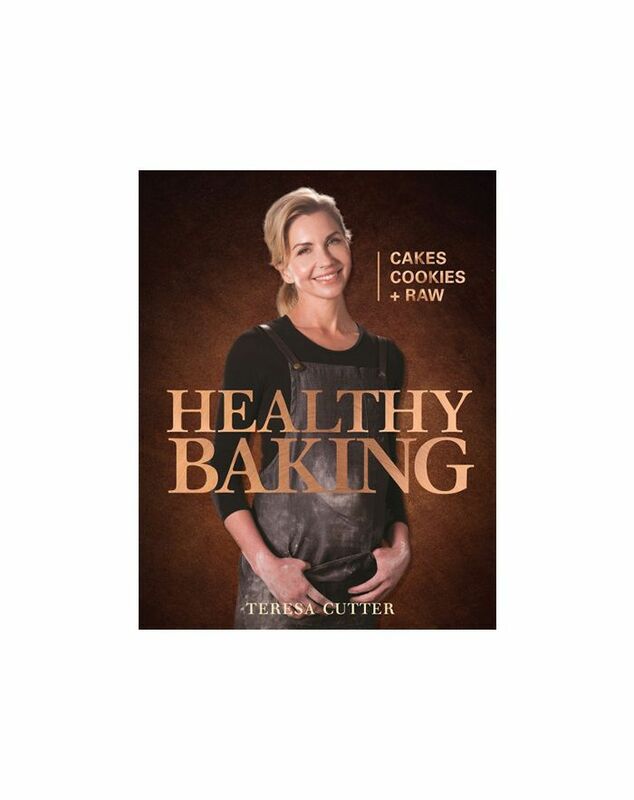 For more healthy baking ideas, check out Cutter's latest cookbook below.